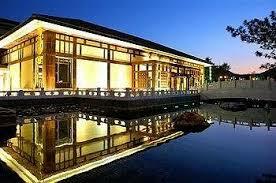 Located in the midst of the mountains, International Hot Spring Hotel is located in Bawati. Free WiFi access is available in public areas. It offers a restaurant with a 24-hour room service. Each room here will provide you with a TV, a minibar and a seating area. Private bathroom also comes with a bath or shower. At International Hot Spring Hotel you will find a hot tub, a 24-hour front desk and a garden. Other facilities offered at the property include a tour desk and a children’s playground. The property offers free parking.